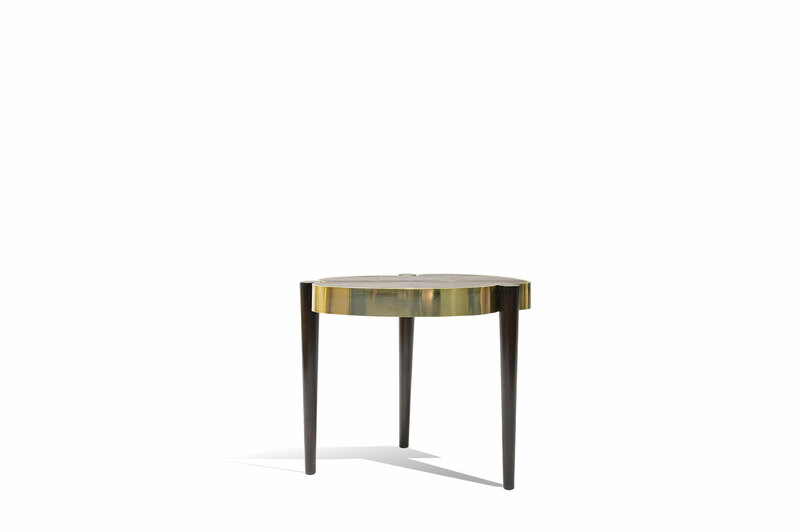 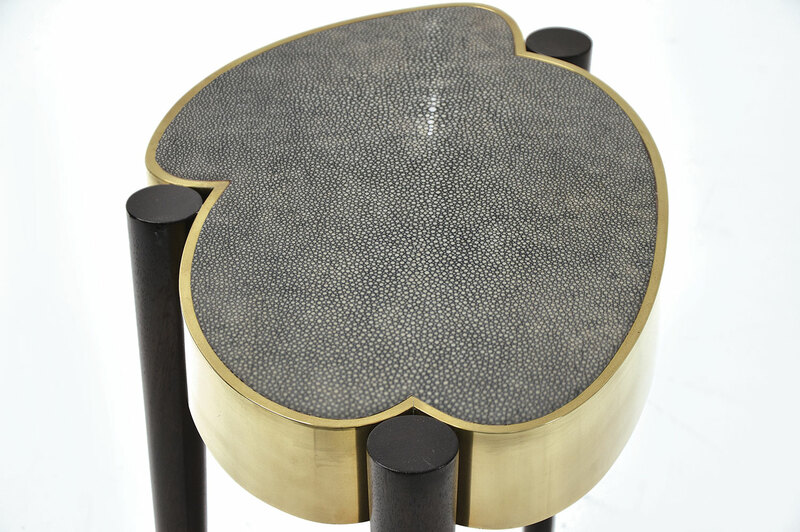 This side table was handcrafted from the finest materials and designed with an organic touch to be aesthetically impressive. 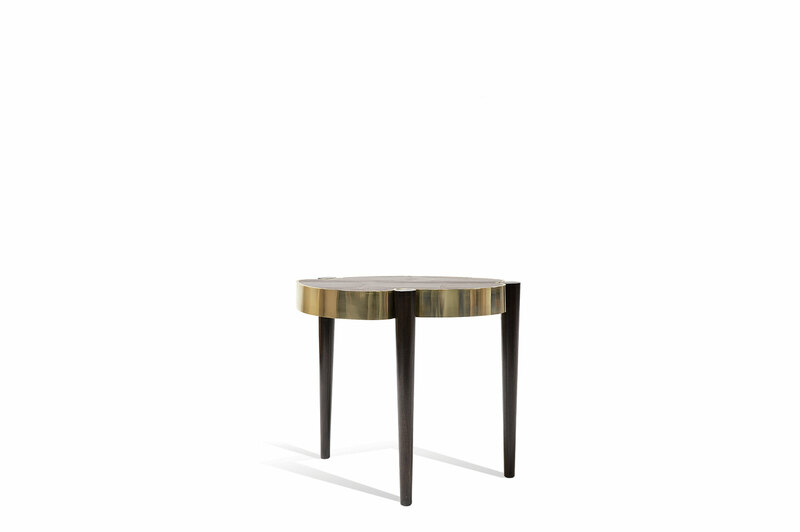 The solid mahogany legs are finished with a fine ebonized satin coating. 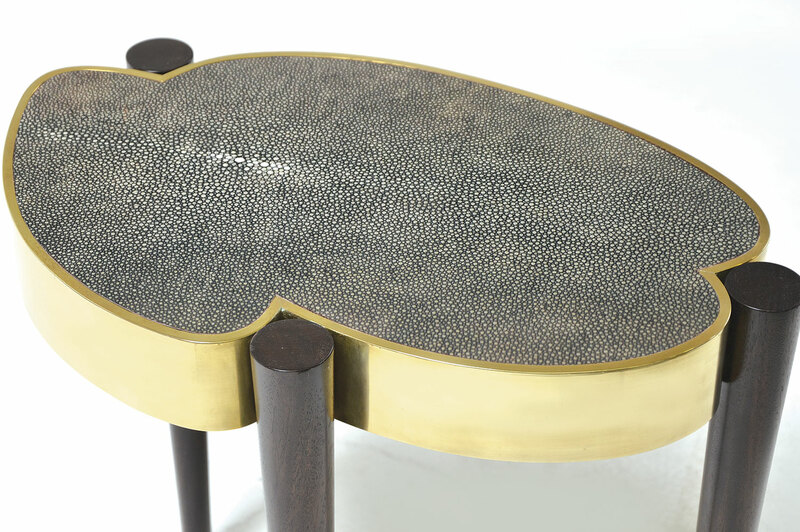 The apron is mantled in brass and the top is lined with luxurious shagreen skin.